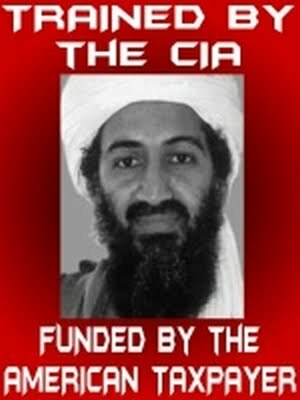 Al-Qaeda is a fundamentalist movement advocating use of violence in the world. But we must understand that dictatorships, which foment fundamentalism or patronize such movements in the Muslim world were created by American Islamism itself. With this as HP, I admit it’s enough as a beautiful ghost. And if we do not believe enough, a short interview to Voice of America radio Islamist as everyone knows, would improve the image of the most famous ghost of the planet. An interview in which he paid himself royally GW Bush’s head ” who says he can find us wherever we hid on this earth … we’ll see who is right, “he assures: such defiance against the military, the most powerful of the earth, admit that there was this specter of another stature than Casper! A Mullah quietly recalling how ending the latest U.S. disputes, namely the defeat of Vietnam after the intensive bombing of entire regions where the Viet Cong were buried 15 m deep, sometimes admit that it is enough to tickle the U.S. military chiefs, always willing to use the method on May Curtis; i.e. carpet bombing aimed at both civilian and Defence, “to” break “in the first all support the idea of resistance. Omar, would he preach in the desert? Certainly not, read the report which concludes that the opposite effect produced by carpet bombing: that whole generations of young Taliban outrage at the massacres of civilians and the deliberate abuse … about how one of the most wanted men on the planet has managed to be interviewed in the studios of radio U.S. propaganda. It should have been thinking to ask the father of Michael Headley, perhaps sadly died today (I could not check it) because he worked long … in Pakistan. I had also written: “visits Headley had also lead directly to the movement of Indian Mujahideen, from the” Group Azamgarh, “the bombers with his leader Riyaz Bhatkal ( Roshan Khan) qu’Headleyaurait met: the formation of the second-team killer of Karkare explained through this contact. On February 13, 2010, when the bakery jump Pune, tourist mecca, the attack will be awarded to Bhatkal, but the sightings were conducted by Headley “. derrrière And the banking system Azamgarh Group, Indian Times tells us, there was … ISI, as had been the network of politician Shahabuddin, nicknamed Shahabu AK-47, a few years ago, in Rampur. The man was sentenced to life in 2007 for 302 attempted murders and 364 kidnappings: in him they had found an arsenal of dozens of AK-47, all numbered as having been manufactured in Pakistan. In April 2004, when he was already detained, were found in his cell for mobile phones, with which he continued to communicate with the outside. So we made puppets, and he simply says that today is … a French judge, Marc Trévidic, who said recently in the Express: “Al-Qaeda is a convenient word. It actually refers to a fundamentalist movement advocating the use of violence in the world. And in the land of Islam, its propaganda button and a poor population that rarely lives under a democratic polity. We must understand that the dictatorship was created under American Islamism. Once this movement develops in a semi-underground, the western democracies would be ready to pay any price to keep the dictators in power. This is not the only paradox of our diplomacy. Saudi Arabia is a vector of propagation of Wahhabism, which advocates a radical Islam, but it is also our ally. We sell them weapons. We buy their oil. The West, for mercantile reasons, supports its dangerous allies (*). And we are paying the price. It is we who have made this Islam. “One cannot be clearer on the question of who did what, and who created that … and whence come the puppets! “Since Dubai has collapsed like a house of cards, we realized (finally) that it really depended on sand, and also a lot of lies. In Saudi Arabia, idem: the company has two sides radically different: one a youth eager to live in the XXI century, the other powers trying to control it with laws of another age. The implosion is near, as the disparity between new and reaction becomes obvious. The cauldron of social breakdowns in these countries are coming, and it is sad to note today that the reactionary turn of the screw is recent in the 90s, everyone expected a weakening of this kind of government, based on a total deafness to meet individual aspirations. It is a last gasp, no doubt. Place in the future breakup of the feudal societies out of time”.